Updated with new models released January, 2019. So you want to get serious about music production or podcasting? You’ll need a good computer that can handle everything you throw at it. There is a good chance you’ll have lots of programs and tabs open at the same time and you will need the ability to add at least 1 extra screen (many people use 2 or 3). These usage requirements use a lot of RAM and graphic power, respectively. I recommend getting at least 16GB RAM if at all possible. Most important for audio processing is a CPU with fast single core performance. This will allow you to get your mixes into a single file much quicker and process effects and chains without the CPU needing to wait, among many other benefits. 8th generation Intel i7 processors are the best, followed by Intel i5. 7th generation processors are also excellent. We’re just going to focus on the best laptops for music production and podcasting. 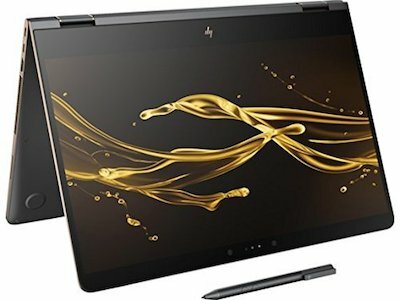 There are many more options for desktop and all-in-one computers that work well for audio recording and podcast recording, but the flexibility and portability of a laptop makes it a must-have. The other big thing to consider is Apple vs Windows (Mac vs PC). This choice usually comes down to what recording software (DAW) you are going to use and what you are used to using. Personally, I’m an Apple fan, but I started with Windows – and I use both of them daily. The Mac operating system is usually more stable, which can be critical when recording, although there are tons of big name producers who swear by both systems. If you want to use Logic Pro, it’s made by Apple and only works their computers. If you want to use GarageBand (a great choice for podcast production), it’s included free with Apple computers. Avid Pro Tools is another very popular industry-leading software that works on both systems. Many of these popular tools have minimum requirements and recommended requirements. Performance will be much better if you get a laptop with at least the recommended requirements so I’m just going to recommend music production laptops that meet or exceed the recommended specs. You usually will have a much longer lifespan if you get a computer toward the higher end of the spec list because it won’t be outdated as quickly, which means over time it will actually cost you less. Just something to consider. There’s a 13″ and a 15″ model (well, 13.3″ and 15.4″ to be exact) of the MacBook Pro laptop. If you’re working on a plane a lot the 13-inch option is perfect, but that’s not most people. I would recommend getting the latest 15″ MacBook Pro with Touchbar. With up to 32GB of RAM, a 2.6GHz 6-core Intel i7 processor (Coffee Lake) and a 256GB (or 512GB) solid-state hard drive you’ll be set for years. 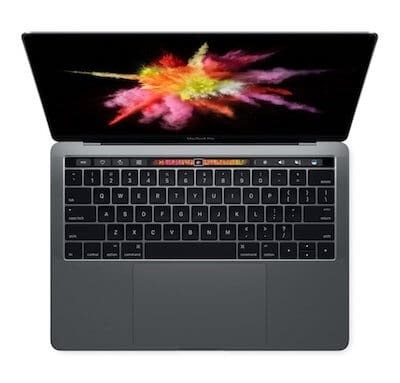 As of early-2019, this is the best MacBook Pro for music production. I would stick with the 256GB SSD and expand with an external SSD later as needed unless you know you’ll need the extra space. It also comes with a Radeon Pro 560x with 4GB video RAM. It comes with 4 USB-C ports so you will need to get adapters or a dock. USB Type-C is a different port from traditional USB 2.0 and USB 3.0 ports. Stay away from regular Macbooks (the non “Pro” models). They basically use a similar processor to a phone, meaning they’re designed for battery life over speed. Yes, the Razer Blade is a “gaming” laptop, but that also means it’s equally well-equipped to effortlessly handle music production. The model I recommend is the advanced 15″ Razer Blade. 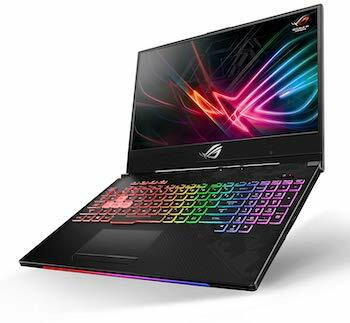 It has an Intel i7-8750H 6-Core CPU, NVIDIA RTX 2060 (6GB GDDR5 VRAM), 16GB RAM, and a 512GB SSD. They also have an ultrathin 13″ laptop and a 17″ desktop replacement, but as of March 2019, the 15″ model is the most recently updated. The build quality of these laptops is second-to-none and is typically compared with Apple for good reason. They don’t add a bunch of extra software that just ends up slowing your computer down and they care about speed and performance – my kind of company! Microsoft has come a long way their Surface Pro line. They offer a few great configurations that would work well for a music production laptop. 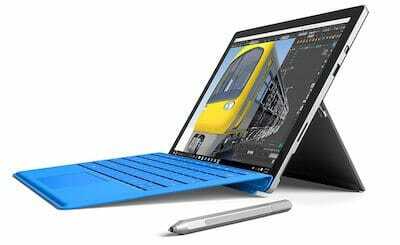 I recommend the Surface Pro with an Intel i7, 16GB RAM, and a 512GB SSD. If you want to stay under $1,000, the Intel Core i5 with 8GB RAM is a lower-budget option. It comes with a MicroSD slot too. You can get one direct from Microsoft here. The screen size on these is 12.3″ which can a little small, but most people get an external monitor or 2 anyway. Just know that these don’t come with a keyboard – and you’ll likely need to get the Microsoft Surface Dock to give you more ports. ‘ROG’ stands for Republic of Gamers and is the gaming line of products from Asus. This means these computers are great for nearly any performance intensive task. Into gaming? Check out the best gaming microphones. These laptops come with a ton of ports so you won’t need to spend extra on accessories just to plug your mixers or USB microphones into them. I’m recommending the 15″ model as that gives you a nice balance of screen real estate and portability for a laptop, but they also have 17″ models as well if you want that extra screen real estate. The Asus ROG Strix Scar II GL504GW-DS74 is a brand new model available as of January 2019 and is the perfect laptop for your music recording and mixing needs. It uses the NVIDIA RTX 2070 graphics card. Many software programs, including most DAWs, make use of the graphic card, which frees up the CPU to do its thing. Also, when you start plugging in 2 or 3 external monitors, you’ll definitely need the extra GPU power. This version also includes improved cooling, which can keep your computer quieter. This is great as you don’t want to be picking up fan noise when recording. The processor is an Intel Core i7-8750H, comes with 16GB DDR4 RAM, and an insane 512GB NVMe SSD, perfect for fast performance and storing large files. Comes with 3x USB 3.0 ports, 1x USB Type-C port, 1x USB 2.0, 1x HDMI, 1x Mini DisplayPort. The Dell XPS line of laptops has been an excellent choice for a while now. It’s the thinnest 15″ PC laptop around but doesn’t sacrifice performance. 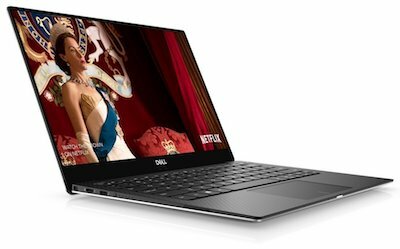 The latest version – Dell XPS 9570 – includes Intel’s brand new Coffee Lake processor and a beautiful 4K touchscreen with Gorilla Glass for scratch resistance. I recommend the XPS9570 4K Touch model with the 8th generation Intel i7-8750H, 16GB RAM, and a 512GB SSD. You’ll also get Nvidia GTX 1050Ti graphics card. You’ll be able to record and edit music, do video editing, and nearly anything else with this. It comes with an SD card reader and 2 USB 3.0 ports. 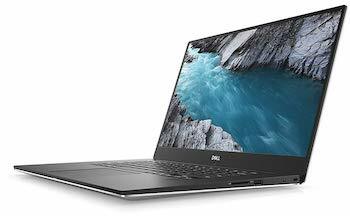 Dell recently upgraded the 13″ model for 2018 to include Intel’s 8th generation i7-8550U processor, among many other improvements that make for an excellent upgrade over the previous models. I recommend the Dell XPS 9370 with a 4K touchscreen, 16GB RAM, 512GB SSD, Fingerprint reader, and more. It has 3x USB-C ports (no USB-A). It’s still not the most powerful and the graphics card doesn’t really compare with the other laptops highlighted here, but Dell has really put together an impressive ultraportable laptop. The webcam placement is a little weird at the bottom, so if you plan to use that often I would recommend grabbing the Logitech C920S to go with it. They also introduced a great new Rose Gold on Alpine White color option. The HP Spectre X360 is beautiful, versatile and powerful. 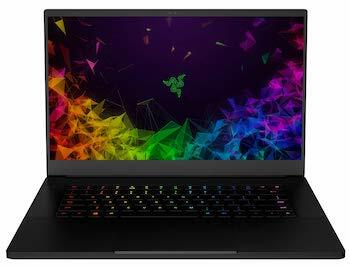 I recommend the 15″ model updated in mid-2018 with the 8th Generation Intel i7, 16GB RAM, 512GB SSD, and a Radeon RX Vega graphics card. This is a “2-in-1″ laptop, meaning that the 4K touchscreen folds backward, effectively making it a tablet. The 15” model is a little under 4.5 lbs, which is a bit heavy to hold one-handed in tablet mode, but great for sharing things or writing. There is also a media mode for watching videos and a tent mode for presentations. HP was smart by including both a USB Type-A port (the stand rectangle) and 2x USB Type-C ports (the new oval), one of which includes Thunderbolt. They also include an SD Card reader and an HDMI port so you shouldn’t need a bunch of dongles to all your gear connected. If you want something a little lighter and more portable, there is a new 4K 13″ model that weighs 2.78 lbs. It uses the Intel UHD 620 graphics card, which is actually a slight downgrade compared with the previous 13″ model that had Nvidia 940MX. You do lose the HDMI port with this size though, although an adapter will easily solve that. The versatility and reasonable price point make both sizes of the Spectre X360 an excellent choice for a Windows-based music production laptop. 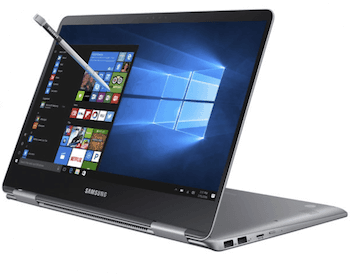 Here’s another 2-in-1 laptop, this time by Samsung. The Pro model was just announced at Computex earlier this year. The 15″ Notebook 9 Pro has been updated with Intel’s latest Kaby Lake processors as well and offers decent specs for the price. Samsung has taken cues from their smartphone line when it comes to design, with thin bezels and more curvature. It comes with an S-Pen (and a slot to hold it) that has 4,000 levels of pressure and the ability to add shading by tilting it. Similar to the Spectre above, you get both USB 3.0 and USB Type-C, an HDMI port, and an SD Card reader. The 13″ model only comes with 8GB RAM, while the 15″ model gets 16GB. Graphics power is also a lot better in the 15″ model with the AMD Radeon 450 vs Intel HD Graphics 620 in the 13″ version. Because of that, I would stay away from the smaller one for serious music producers. PCAudioLabs specializes in computer equipment for audio production. Their ROK BOX MC Mobile Series line of pro audio laptops lets you custom build a laptop that will fit your production needs and budget. There are many great choices for music production laptops. I would suggest getting the best computer you can for your budget, but try to stay away from “cheap” options – and definitely avoid Chromebooks. You will just run into limitations and issues that take the fun out of your hobby or profession! Let me know in the comments if you have any questions or if I’m missing anything.